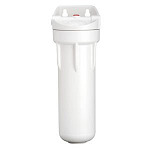 Pentek counter top filters produce great tasting water and can install easily on any counter top and faucet. In Stock! Ships in 46 to 47 business days.